Distressed inventories have diminished rapidly over the last two years, as more and more people take advantage of our low housing prices and centralized location with great amenities nearby. As this trend continues, builders have also come back to get in on the action. We've all observed renewed activity at some of our incomplete and "zombie" subdivisions, and I just learned of another major land deal that will hopefully be announced tomorrow, for the 20-acre parcel located on the northwest corner of 19th Avenue and Southern. According to a confidential source, at least two homebuilders bid against each other for the opportunity to build there. Things are most certainly heating up this summer, even in land transactions, which tend to lag the resale residential market. Why all the hype? First, we offer a great value. 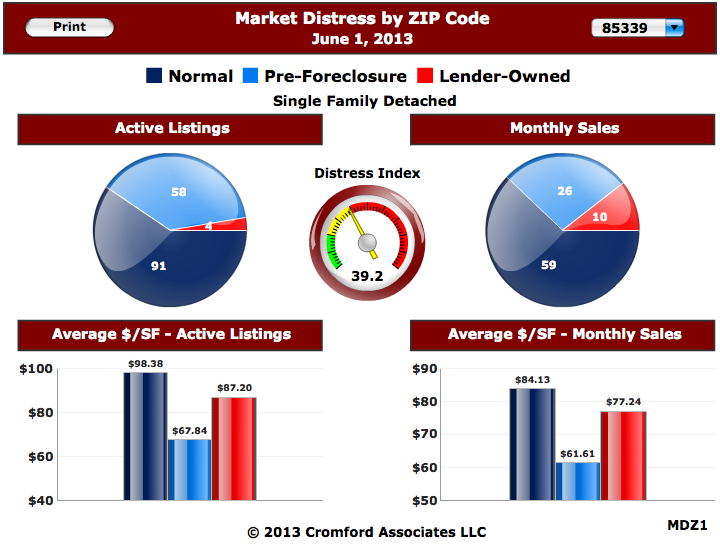 Take a look at this recent post from my real estate blog, titled "South Side Special Report". I'll add here that while 'Tukee has had its day in the sun, I predict that it is now Laveen's turn to shine. This is owed in part to all of the good that's happening in Laveen and SoMo, but there's another reason as well: Take a look at this other post, titled "New Market Stats for July! ", which features recent figures from ARMLS that point to an overall tight market in the Phoenix metro area. 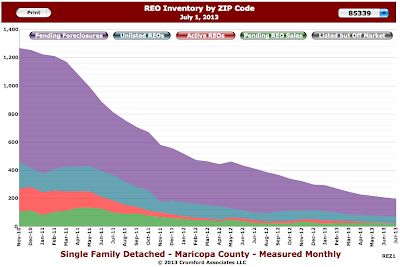 The rising tide truly is helping all ships rise, and Laveen, like other "newer" communities, is seeing a return of boomerang buyers -- folks who lost their homes and are starting to buy again. According to this morning's real estate article in the AZ Republic, this group now makes up about 25-30% of all buyers, even as interest rates have risen steeply in the last month (but are still a phenomenal deal compared to historical rates). I know from my experience that this appears to be true and I am a huge fan. While I'm outraged that our state housing department didn't do more to help these folks when they needed it most (read more here), I see their desire to commit to our community as a tremendously positive sign. Local boomerang buyers are making a choice to reinvest where they already got burned once, and that takes faith and courage (not to mention, common sense).